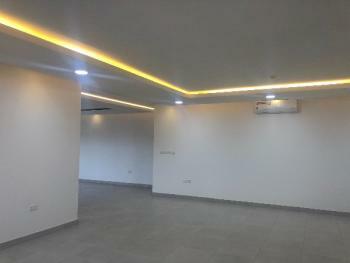 LUXURY PENTHOUSE FOR RENT IN JABI Fully Furnished 5-bedroom Penthouse Master bedroom with 60” TV, Chandeliers, Electronic Fireplace, massive His & Hers closet with center Island Master bathroom with Jacuzzi and modern glass enclosure shower Fully furnished Children’s bedroom with 42” TV, Bathroom with Jacuzzi size tub. Fully furnished Guest bedroom with 32” TV, Bathroom with glass enclosure shower•Fully equipped gym room (Could also be used as bedroom) Squat rack Bench Press Elliptical Recumbent Bike Sit-up bench•Study (Could also be used as bedroom)•2 Living Rooms: Visitors entrance patio Formal Living Room with Italian Furniture and Chandelier. Has balcony with French doors Family Theater room with Projector. Has balcony with French doors •Dining Room: Dining table, Chandelier & wide wall-to-ceiling window with outside view•SMART HOME (USING TOTAL CONTROL HOME AUTOMATION SYSTEM) Fiber Optic Internet with Wi-Fi coverage throughout entire Penthouse. - Security Cameras Centrally located audio-video rack with DSTV Worldwide IPTV TV Channels from Countries such as: USA (over 100 channels - HBO, SHOWTIME, ESPN, CINEMAX, CNN US, NFL, NHL, NBC etc) UK (over 100 channels - All SKY channels, ITV, BBC, BIEN Sport) Many more such as Canada, India, Russia, Africa, Portuguese, Arabic etc. HD TV sets in every room Speakers in ceiling of every room for music listening and TV watching.•25 KVA & 40KVA Generator sets with Diesel Storage Tank•7.5KVA inverter•Fully equipped kitchen with: Dishwasher Microwave Modern Cabinets, Magic cupboards and Spice Racks Stove Vent and modern Stove with Oven Refrigerator, Wine cooler Storage room with 2 deep freezers Island with cupboards•Laundry room: 2 washers and one Dryer. Clothes hanger Sink and utility cupboards•Exclusive Parking space for 3-5 cars. 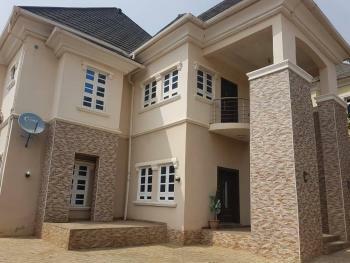 5 Bedroom duplex With A.c / Gas cooker @ News engineering estate.